Memora is a desktop application that allows users to keep track of anything they wish to remember in their daily activities. 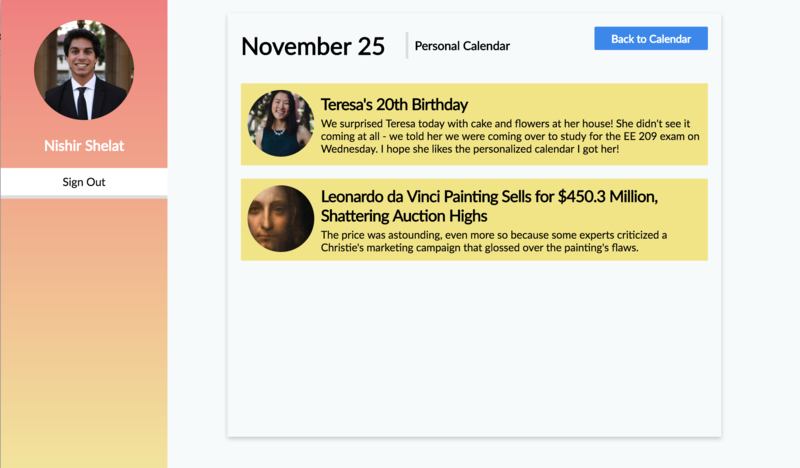 Anything from important news stories to anniversaries to thoughts, memora can keep track of it all on its calendars. Share calendars with multiple people as well so you can share memories with family, friends, and others. At any age, we encounter events in our lives that evoke strong emotions, whether that would be spending time with family or friends or accomplishing a long-term goal. Yet it is so easy to forget these memories that mean so much to us and continue on with our ever-busy lives. Memora is meant to digitally scrapbook our past and open up memory sharing with groups we care about. 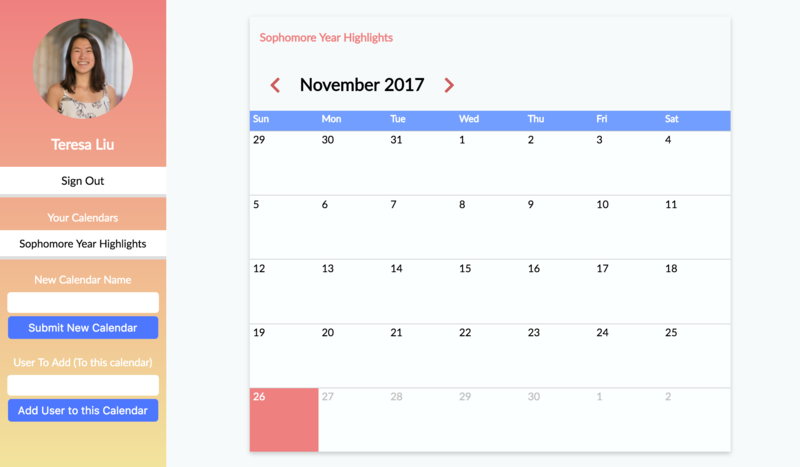 View the whole calendar and navigate to other calendars in the sidebar. Add other memories to your currently selected calendar. Click on any day to see that day’s memories. 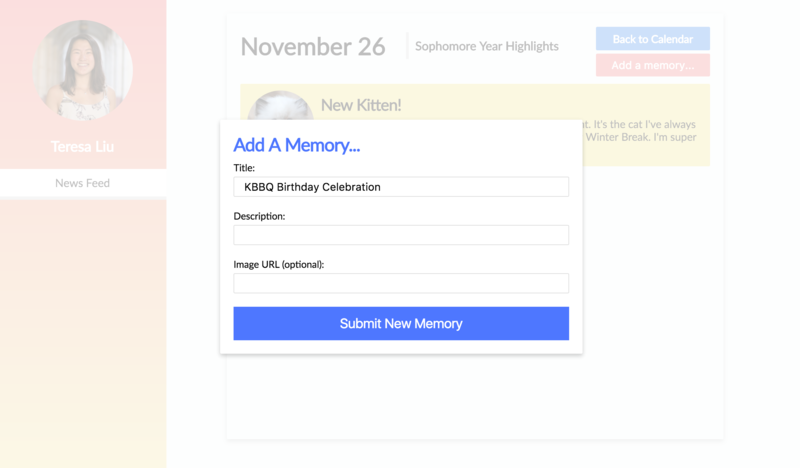 Navigate to a specific day to find this view of the current day’s memories, where you can add memories. Add memories to your day with an image and a description so you can remember it when you look back to this day. 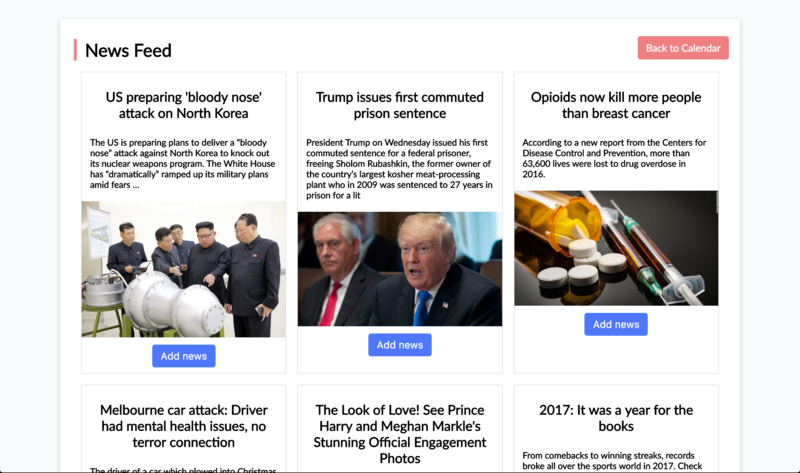 Scroll through and read top news articles of the day and add the most significant ones to your day’s memories. I'm a computer science student at USC. If you have any questions, please reach out through email. Thanks for reading!